Hyperasymptotics, known also as beyond-all-orders asymptotics and exponential asymptotics, has become important in the last couple of decades, but asymptotic/ divergent series have been useful and confusing for centuries. Niels Henrik Abel, who died one hundred and eighty years ago, wrote: “Divergent series are the invention of the devil, and it is a shame to base on them any demonstration whatsoever. By using them, one may draw any conclusion one pleases and that is why these series have produced so many fallacies and so many paradoxes ...”. Hyperasymptotics has been the struggle to remove these fallacies and paradoxes. Sir George Stokes made a major advance in 1857 when he discovered the Stokes phenomenon ; the form of the asymptotic approximation must change discontinuously crossing certain sectors in the complex plane. In his own words, “the inferior term enters as it were into a mist, is hidden for a little from view, and comes out with its coefficient changed.” Stokes’ discontinuities have been successfully embedded into the special function software that evaluates Bessel functions, the exponential integral and many other transcendental functions in Matlab, Mathematica and FORTRAN. Thus, his coefficients from the “mist” have been reduced to black boxes, robust and invisible to the user. Yet Stokes himself was never entirely pleased with his “discontinuities”. In a droll letter to his fiancee, he says that he stayed awake until 3 am, peering over his notes with only the feeble, guttering light of a candle, trying to understand them. Robert Dingle offered an improved treatment in his 1973 book . His student, Sir Michael Berry, wrote about “smoothing a Victorian discontinuity” in 1989 , and introduced “superasymptotic” and “hyperasymptotic” into the lexicon . In this book, Victor Kowalenko boldly takes on these sages with his own interpretation of the Stokes phenomenon. Who is right? We shall let the reader judge, but offer only two observations that are on sure ground. One is that, like Abel and Stokes, contemporary mathematicians are still struggling to interpret and conceptualize hyperasymptotics. In Enrico Fermi’s words, “we are still confused, but at a higher level”. The second is that the reader may use the approximations and algorithms of Kowalenko’s book without fear. One of his book’s strengths is that it is full of very careful, high precision numerical experiments (as are the papers of many of his adversaries like Berry). There are no controversies about numerical accuracy; the conflicts are about concepts, interpretation and the best strategies for extending hyperasymptotics to new realms where it has not yet been verified. Kowalenko’s book is thus an important step forward in a quest that has stretched over centuries and is still an active research frontier. His study captures only part of a very broad mathematical toolbox important in quantum mechanics, fluid mechanics, optics, quantum field theory and a dozen other fields. Refs. and  give a perspective on this breadth, while Ref. catalogues other books on hyperasymptotics. Still, Kowalenko’s book covers an important subset of this broad field. In particular, it reaches across the centuries to shed deeper light on the Stokes phenomenon and the Dingle-Berry theories. Borel summation, too, is more than a hundred years old, but Kowalenko shows that it is a powerful tool for regularizing divergent asymptotic series. The vagueness of the Landau gauge symbols, O() and o(), which express only order-of-magnitude and limits, can be replaced, at least for the cases he analyzes, with precision. This book is a good addition to an ancient, but also modern, research frontier. In 1993 Dr T. Taucher and I carried out a numerical study into the accuracy of the complete asymptotic expansion for the series S3(a) = ∑∞k=c exp(−ak3). A complete asymptotic expansion is defined as an expansion that is composed of not only all the terms in the main or dominant asymptotic series, but also all the terms of each transcendental or exponentially subdominant asymptotic series, should they exist. Normally, the latter series, which are said to lie beyond all orders and whose derivation is the goal of the subject known as exponential asymptotics, are neglected by applied mathematicians when they seek asymptotic solutions to problems, while the dominant series is usually truncated after the first few terms. There are two main reasons for adopting this relatively crude, but standard, approach in asymptotics. The first is that both the entire dominant and subdominant series are divergent and until now, there has been no adequate theory that can provide meaningful values to such series. The second is that truncating the dominant series after a few terms generally provides a very good approximation to the original function/integral provided one does not venture sufficiently far away from the limiting point of the expansion, which is generally zero or infinity. Hence, when an asymptotic solution is provided to a mathematical problem, it is often accompanied by the phrase “in the limit as such and such quantity tends to zero or infinity”. Because of the second reason there has been no urgency on the part of mathematicians to develop a theory of divergent series so that exact values could be obtained from asymptotic expansions. Instead, the subject of asymptotics has developed by employing such vague symbols as ~ or goes as and O () or the order of, while in other instances, practitioners have sought to calculate bounds for the remaining terms neglected in the truncation process. Because of this imprecision, asymptotics as a mathematical discipline has often suffered from derisory remarks made in particular by pure mathematicians, who point out that mathematics is supposed to be an exact science. In the case of S3(a), which represented a particular value of a series called the generalised Euler-Jacobi series, the complete asymptotic expansion consisted of a dominant algebraic series and one subdominant exponential series, whose coefficients resembled the dominant series in the asymptotic expansion for the Airy function. Moreover, the complete asymptotic expansion was described as a small a-expansion, which meant that its limiting point was zero, as opposed to a large a expansion, whose limiting point is infinity. At the time we were only interested in real values of a. Therefore, provided a was less than 0.01, one could truncate the dominant series and neglect the subdominant series to obtain very accurate estimates for S3(a). Our aim, however, was to find the values of a, where the subdominant series could no longer be neglected. This meant that we needed to consider intermediate values of a lying between 0.01 and 5 and “large” values, where a was greater than 5. An undertaking such as this is quite formidable because as one moves away from the limiting point, accurate results can no longer be obtained by truncating the dominant series. In fact, for large values of a, the first term may provide the closest result to the actual value, but it is generally very inaccurate. Furthermore, as a increases, the terms in the subdominant series become numerically important and cannot be neglected. This is because a subdominant term such as exp(−1/ε) is smaller than any power of ε as ε → 0+, but for ε = 1/2, exp(−1/ ε) > ε3 and 10exp(−1/ ε) > 1. Therefore, for a > 0.5 one must consider not only the entire dominant series, but also the entire subdominant series, to evaluate accurate values for S3(a). This means, in turn, that one must be able to determine meaningful results to divergent series, a feat that has eluded mathematicians since their discovery well over 200 years ago. When we began our study of the complete asymptotic expansion for S3(a), the only summation technique for divergent series that we had at our disposal was Borel summation. The problem with this technique was that whilst it could yield the exact answers to both series, it was incapable of providing the precision we required for our analysis because the Borel-summed results were in the form of multi-dimensional integrals. These were found to be extremely difficult to evaluate numerically to a large number of decimal places within a short period of time on our computing system. So, out of necessity we developed a new numerical technique that we named the Mellin-Barnes (MB) regularisation of a divergent series. With this technique we were able to evaluate the entire dominant and subdominant asymptotic series in S3(a) to previously unattainable degrees of precision. As a result, exact values for S3(1) and S3(10) were calculated to at least 16 decimal figures by summing both divergent series in the asymptotic expansion. For smaller values of a, viz. a < 0.1, the degree of precision was even greater, due to the fact that the contribution from the subdominant series was extremely small and thus, hard to detect. Nevertheless, not only did we tame the divergence of each component series in the complete asymptotic expansion for S3(a), we had discovered for the first time ever and contrary to conventional ideas or theory about asymptotic expansions that a complete asymptotic expansion can yield the exact values of the original function, even far away from its limiting point. All the results from this study were documented and discussed extensively in a London Mathematical Society (LMS) Lecture Note, No. 214 . In the conclusion to this work it was stated that as a result of the remarkable success of the numerical study into S3(a), a theory of divergent series could now be envisaged. With such a theory the subject of asymptotics could be liberated from the shackles of inaccuracy and limitation in range of application and be elevated to a proper mathematical discipline yielding precise results over previously unexplored regions. This is of great importance to theoretical physicists since the world of modern physics turns out to be more asymptotic than convergent. However, it was also stated that before such a theory could be developed, one would need to consider complex values of a, but as a moves about the complex plane, the divergent series in the asymptotic expansion for S3(a) acquire jump discontinuities due to the Stokes phenomenon. 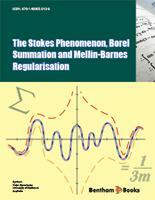 Hence, whilst the techniques of Borel summation and MB regularisation would feature prominently in the proposed theory of divergent series, the theory would only be complete if it possessed a proper explanation for the Stokes phenomenon. One of the principal aims of this work is to present an entirely new, if not radical, explanation for the Stokes phenomenon that builds upon its initial discovery by G.G. Stokes in 1857. Consequently, Ch. 2 begins with the very first example of the phenomenon. Following that, the main developments regarding this arcane effect are described up to the present day. Ch. 3 explains how the phenomenon is incorporated into Dingle’s theory of terminants, while Ch. 5 applies this theory to the asymptotic forms for the error function of complex argument in order to see whether discontinuous or abrupt jumps occur in the vicinity of Stokes lines or whether a smoothing as postulated by M.V. Berry takes place. In order to resolve the differing views about phenomenon, it has been necessary to introduce the key concept of regularisation of a divergent series. This is carried out in Ch. 4 where it is defined as the removal of the infinity in the remainder of a divergent series so as to make the series summable. The limit values obtained in this process are referred to as regularised values. To familiarise the reader with this key concept, the regularised values are evaluated for fundamental series such as the geometric and binomial series. By itself, regularisation is a mathematical abstraction, but as explained in the chapter, it is necessary in asymptotics for correcting the improprieties of the various methods used to derive asymptotic expansions in the first place. When carried out properly, the sum of the regularised values for each component asymptotic series in a complete asymptotic expansion must yield the exact value of the original function from which the expansion is derived as we found in the study of the complete asymptotic expansion for S3(a). Ch. 5 begins with the derivation of the asymptotic forms for the error function over the entire complex plane, which later serve as a test-bed example for the new explanation of the Stokes phenomenon. It is shown that Borel summation of these asymptotic forms yields regularised values of the error function. Then an extensive numerical study is carried out, especially near the Stokes lines within the principal branch of the complex plane. The results confirm that the Stokes phenomenon does result in discontinuous jumps and that there is no smoothing effect. As a result, an expression for the Stokes multiplier is given, which is shown in another extremely accurate study to behave as a step-function when the argument of the variable moves from below the positive real axis to above it, regardless of the variable’s magnitude. Thus, the results in this chapter vindicate Stokes’s view of the phenomenon that bears his name. Since Ch. 5 shows conclusively that the Stokes phenomenon is discontinuous across specific lines or rays in the complex plane and has no dependence upon the magnitude of the variable, Ch. 6 re-examines the analysis leading to the smoothing effect. It is seen that this erroneous observation has been arrived at by neglecting the remainder of or truncating an asymptotic series. Later in the same chapter an alternative description of the Stokes phenomenon based on resurgence analysis is presented. Though the proponents of this complicated approach claim that resurgence analysis is a natural progression from Stokes’s seminal work, this view conflicts with Stokes’s original observation of jump discontinuities emerging at specific rays in the complex plane. In resurgence analysis Stokes lines, which are determined by maximising the exponential factors of (J)WKB solutions now become curves, merging into one another in the complex plane. Consequently, Stokes regions are no longer regarded as specific sectors in the complex plane, which is nothing like Stokes’s description of the phenomenon or effect that he discovered in divergent series. Another problem with this approach is that no one has ever conducted a thorough numerical analysis which demonstrates conclusively that an asymptotic solution of the Schrödinger equation obtained via resurgence analysis can yield the same values as the exact solution. Instead, the proponents of the theory refer readers to Stokes smoothing and the hyperasymptotics of Berry and Howls  for such numerical studies claiming that these, too, fall under the umbrella of resurgence analysis. Prior to the advent of Stokes smoothing and resurgence analysis, the conventional view of the Stokes phenomenon was that the constants or multipliers associated with subdominant terms in a complete asymptotic expansion developed discontinuous jumps, often of unity, as the phase or argument of the variable moved across a Stokes line of discontinuity. Though more correct than the concept of smoothing, this view is very limited in that it does not apply to all branches in the complex plane and is virtually restricted to series with coefficients that possess gamma function growth. Such series are referred to as terminants, a terminology due to R.B. Dingle, who realised that the late terms of the asymptotic series of a multitude of functions in mathematical physics could be approximated by them. As indicated earlier, MB regularisation was first introduced in the analysis of the complete asymptotic expansion for S3(a), but that study was limited to positive real values of a. In Ch. 7 this alternative technique for regularising a divergent series is developed further into a proper theory so that it can be applied over the entire complex plane. Two general types of divergent series are considered: one where the coefficients alternate in sign initially and the other where they do not. In this analysis the regularised values of the two types of asymptotic series are expressed in terms of MB integrals with domains of convergence rather than as Cauchy integrals defined over Stokes sectors as in the case of Borel summation. Furthermore, since the domains of convergence for the MB integrals overlap, the regularised value can be expressed by two different MB-regularised forms for specific sectors of the complex plane that encompass the Stokes lines. This is in stark contrast to the Borel-summed forms for the regularised values, which are different once the argument of the variable moves from a Stokes sector to a Stokes line and then from the Stokes line to the adjacent Stokes sector. After presentation of the general theory for MB regularisation, the various MB-regularised forms for the regularised value of the asymptotic expansion for the error function erf(z) are derived in Ch. 8 over all Stokes sectors in the complex plane. Because the asymptotic series in the expansion for erf(z) is a basic terminant, all these results can be expressed in terms of a Stokes multiplier. Then we describe how the specific MB-regularised forms over the principal branch of the complex plane can be implemented in the software package Mathematica. The numerical results for large and small values of |z| and for different values of the truncation parameter N not only give the exact values for erf(z) within the extremely high accuracy and precision goals set in the numerical integration routine, but also confirm that the Stokes multiplier alternates between −1/2 and 1/2 across all the Stokes sectors. That is, there is no Stokes smoothing. Ch. 9 begins with two propositions, which give the MB-regularised forms for the regularised values of generalisations of the two types of terminants studied by Dingle. It is shown that only in special cases can the extra terms to the MB integrals in the regularised values be expressed in terms of a multiplier and that for the most part, this multiplier does not behave according to the conventional view of the Stokes phenomenon. Again, these regularised values are valid over the domains of convergence for the MB integrals, not Stokes sectors. Hence, there is virtually no Stokes phenomenon when it comes to evaluating regularised values obtained via MB regularisation. Ch. 10 presents the Borel-summed regularised values for the two types of generalised terminants over all Stokes sectors in the complex plane. In order to accomplish this, a more sophisticated explanation of the Stokes phenomenon is introduced, which incorporates the limited theory developed by Dingle. In the case of the first type of generalised terminant we develop the regularised value by stipulating a primary Stokes sector initially, while for the second type of generalised terminant we need to stipulate a primary Stokes line initially. In both cases the regularised values are dependent upon how the singularities in the Cauchy integrals that arise out of the Borel summation of the generalised terminants are interpreted. These singularities are very much affected by whether the traversal to another Stokes sector occurs in a clockwise or anti-clockwise direction, but at all times the overall phase of the singularity is conserved. Because of this radical view of the Stokes phenomenon we are no longer restricted to Borel-summable series when determining the regularised values of divergent series. As a result of this observation, two propositions are presented in Ch. 11 that give the regularised values for more general series than the generalised terminants of Chs. 9 and 10. Specifically, the coefficients in the more general series need only be expressed as a Mellin transform in order to obtain the regularised values. Because of the connection to Borel summation, the regularised values obtained in this process are referred to as extended Borel-summed forms. In addition, the basic characteristics of the Stokes phenomenon apply to these more general regularised values. That is, they remain uniform over specific sectors in the complex plane until encountering lines of discontinuity. Furthermore, the regularised values are composed of Cauchy integrals, whose principal values must be evaluated along the lines of discontinuity, while the jump discontinuities that emanate from the singularities in the Cauchy integrals can only in special cases be expressed in terms of a Stokes multiplier times the same function that is applicable over all Stokes sectors. In this book there are many numerical examples presented to astonishing accuracy. Since they are exact, they are far more accurate than the alternative approach of developing strategies for truncating asymptotic series beyond the optimal point of truncation which is the more familiar form of hyperasymptotics -. In fact, all the examples presented here consider situations where there is no optimal point of truncation, i.e. values of the power series variable where truncation breaks down completely and the asymptotic series are extremely divergent. More importantly, the numerical examples serve not only to verify the theoretical results given in the numerous propositions, but also reveal many interesting properties that arise out of the new approach to divergent series, particularly due to the concept of regularisation. In addition, with such symbols as ~, , O(), o(), +. . . , ≤ and ≥ proliferating throughout the entire discipline, one can virtually prove anything in standard asymptotics, which, as mentioned earlier, has resulted in the subject being regarded as vague and limited in range of applicability and being ridiculed by pure mathematicians. On the other hand, numbers do not lie, a fact that seems to have been overlooked by a great number of practitioners in the field who have tended to rely on “proving theorems” employing the aforementioned symbols rather than verifying their results numerically. In fact, much of the theory discussed in the later chapters of this book only came into realisation as a result of the numerical examples in the earlier chapters. Furthermore, the numerical examples demonstrate how the theoretical material in this book can be applied to wide-ranging problems in applied mathematics and theoretical physics. After all, there is little point in developing a new theory if it only provides an alternative view of explaining known problems without possessing the capacity to solve new problems. Finally, I wish to express my gratitude to Gonzalo Medina of the Department of Mathematics and Statistics, Universidad Nacional de Colombia-Sede Manizales, for writing the LaTeX style file that enabled the manuscript to be produced in the Bentham e-book format.